Purchase of medicines by installments - AS "PNB BANKA"
According to doctors’ observations, patients tend to hold off buying medicines because their money is tight. If medicines are not taken according to doctors’ recommendations, the state of health may get worse. In Mēness Aptieka, you can buy medicines immediately but pay for them gradually and without additional fees. To learn more or find out about a possibility to receive the service, please call 67011400. 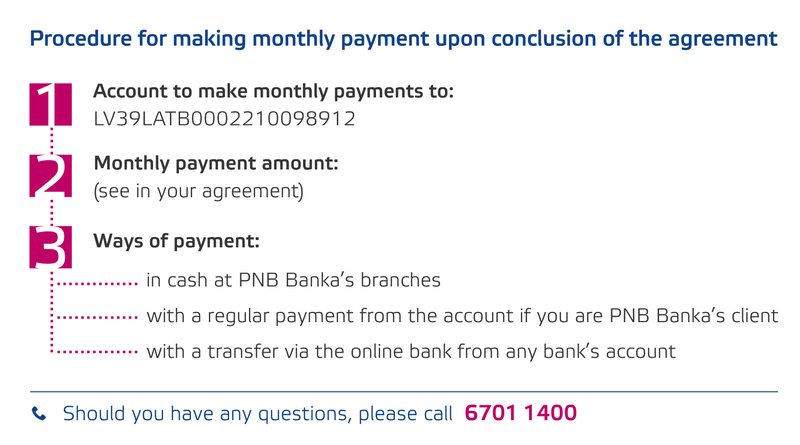 The receipt of the service is ensured by Mēness Aptieka and PNB Banka. Bank Account for Seniors includes the most needed banking services to make seniors’ everyday life easier and save them money! We have developed a number of services specially for seniors, and one of them is a bank account for seniors. It includes an account where to credit a monthly pension, a payment card Debit Mastercard for convenient everyday settlements, free-of-charge cash withdrawal in customer service centres and execution of a bank account mandate. And all of it for 0.45 EUR per month only!